Great Room located on the first floor of the City of Arts. Photo: Disclosure. An event to bring together in one place meditation admirers, welfare healthy life, peace, balance and those in search of self-knowledge. It is river awakens 2018, marked to 04 November, the City of Arts, in Barra da Tijuca, from 8 am to 20.30. There will be seven speakers, including Monja Coen, do Zen Buddhism; Rajshree Patel, the International Art of Living Organization, Gloria Arieira, President Director of Vidya Mandir, Studies Center of Vedanta and Sanskrit, e Lama soldiers Reid, (fundador do Mindfulness Trainings International (MTI). The Awake Rio will be held in the Great Room (photo), located on the first floor of the City of Arts, with the ability to 1.250 people. The event is divided into two shifts (morning – from 8 am to 13:30 pm and afternoon - from 14h30 to 20h45), with lunch break from 13.30 to 14.30. Sales have begun and, until 20 October, There are promotional prices. 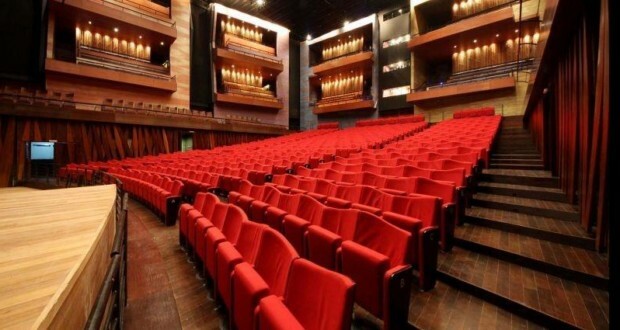 The seats are not numbered and tickets can be purchased by sites Ticket Fast and river awakens. The City of Arts also offers parking 750 cars. Speakers River Awakens 2018. Disclosure. Monja Coen, Oberon and Gloria Arieira will also attend the Literary Encounter, industry event made for interaction with readers, an hour after every one of his lectures. To deepen the knowledge of meditation practice, six publishers (Lute, Edipro, Gryphus, Planet, Record and Sextant) will take its main titles - all relating to meditation and wisdom that this issue involves. There will be, yet, from 8 am to 9 am, an invitation to "Starting the day with Yoga", where up to a hundred people will gather in the foyer of the large room of the City of Arts, to open the event and enjoy all that it offers. Along the day, the lectures of Awake Rio will be merged by the practice of kirtans - an ancient form of Yoga and the time that spirituality is crafted through collective singing - and presentations by renowned artists in the middle. Already confirmed the presence of musicians from the Art of Living, Shivasamba Band, Press and Ramam Band Marguiis. The organization of River Awakens 2018 is due to the founders of UNA Meditation - Gunatiita and Taruna Deva - and disciples of the Indian master Sri Sri Anandamurti: "For us, Meditation is a powerful social and individual transformation tool. From this premise, Awake the Rio intends to provide the public the philosophy and practice of meditation main lines. 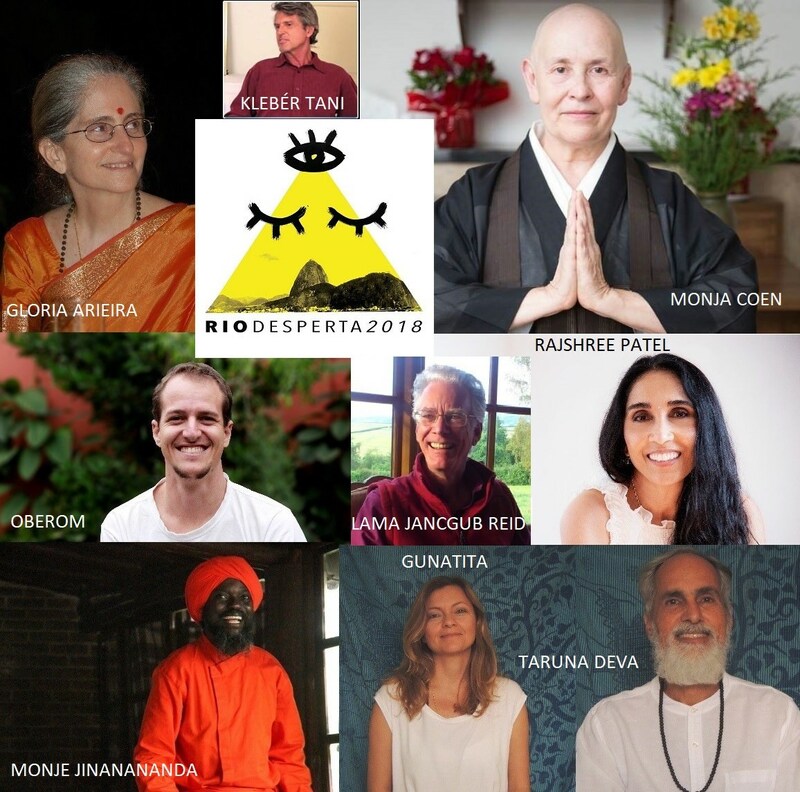 We believe that people are the starting point of change, therefore, we gather near 2.500 meditators, in two shifts, in a wave of peace for the Rio de Janeiro ". Kleber TANI - Transcendental Meditation - 9:00 a.m. / 9:45 a.m. Professor Tani Kléber, one of the directors of the International Society of Transcendental Meditation of Rio de Janeiro and founder of MT Brazil, opens talks River Awakens. Seguidor de Maharishi Mahesh Yogi (famous for being the guru of the Beatles in years 60), Kléber Tani was chosen by his master to be the Global Government of Prime Minister of World Peace to Brazil (new institution created by Maharishi for the dissemination of his Transcendental Meditation technique and 40 approaches of Vedic science to the world). Degree in Physical Education and a graduate degree in Human Nutrition and Health, specializing in Yoga, in India, Oberon was born in 1984, in an alternative community in southern Minas Gerais. Author of "Traveling in the Light", "In the Flow of Happiness" and "Vegan Yoga", Oberon has lectured in several countries on topics related to Pranic Consciousness, to Yoga and Veganism. Since 2003, It brings together some of their experiences in the practice and study of Vipassana, Yoga and development of the Higher Self. To Rio Awake, he will lead the lecture "The world is hungry for love". Born in Rio de Janeiro, in 1953, Gloria Arieira is the main Brazilian reference in the teaching of Vedanta. In 1974, Swami Dayananda met in India, who became his master. Since his return, teaches Vedanta and Sanskrit in Brazil and Portugal. It is the founder and chief executive of the Vedanta Center for Studies and Sanskrit Vidya Mandir, in Rio de Janeiro, one space dedicated to the teaching of Vedanta, Meditation, Sanskrit and Vedic Culture. Monja Cohen was born in São Paulo, in 1947. He was a professional journalist - he worked as a reporter in Brazilian newspapers and the Bank of Brazil - and has written and translated books on Buddhist philosophy, like Viva Zen Zen and Always. Currently, mora no templo Tenzui Zenji, in São Paulo, He is Chairman of the Board Religious Community Buddhist Zen Zendo Brazil and ViaZen / VilaZen, of Rio Grande do Sul. Lama Jangchub Reid is meditation teacher from 1973. In 1975 He made his training with mindfulness Namgyal Rinpoche, Master of the main Buddhist traditions. He devoted many years to the creation and establishment of meditation centers and created the Mindfulness Training Course Instructors, Mindfulness Trainings offered by International (MTI), he founded. He studied Social Anthropology and Religious Studies also in New Zealand, his home country. Currently she teaches in the UK, France, New Zealand and Brazil. Founders of UNA Meditation and disciples of the Indian master Sri Sri Anandamurti, Gunatiita and Taruna Deva teach meditation as self tool, social transformation and well-being. Both were started by the monks of Ananda Marga and teach courses and lectures in companies in Brazil. There are more than 12 years, Gunatiita is dedicated to the practice and teaching of Yoga and Meditation. Deva was already Taruna executive in the audiovisual market by 30 years, but studying meditation at a young age, practicing various techniques in search of self-knowledge and understanding of the mind. Jinanananda was born in Congo and practicing Tantra Yoga from 1986. Is Monk Partner Association Ananda Marga Spiritual, present in more than 180 countries. Conducts lectures and training for yoga instructors and inspires young people in Brazil to become spiritual practitioners and develop socially, by socio-economic theory Prout, that will be the theme of your talk. Born in Uganda and raised in India, Rajshree Patel is one of the most influential women in the world in the personal development field. Rio Awake, it will show the importance of meditation to cope with the existing urban violence in the capital of Rio de Janeiro. In search of inner realization, He met the spiritual master, Sri Sri Ravi Shankar, founder of Art of Living, this humanitarian institution over 150 countries. Minister Patel major events, conducts courses and remarkable range of seminars, including programs in prisons and philanthropic projects in schools and universities. Shivasamba is the union of five musicians who allow themselves to experience the mantras as a creative power to offer the public a sensory journey. The band integrates the traditional Indian ragas and ancient repetition of mantras freedom to distort a guitar or use it as a sitar. You can quiet the mind, lead to insight with the harmonica or breaking the sound with a flute solo tune following the strings of the Hawaiian ukulele. Volunteers musicians Art of Living, inspired by Sri Sri Ravi Shankar, the benefits of mantras and the deep connection with music, They will sing bhajans, mantras e kirtans, that raise awareness and open their hearts. Recognized internationally for its harmonious combination of technical quality and feeling, the group consisting of a repertoire will traditional classical mantras, with profound effect on the individual and the environment. Self-taught multi-instrumentalist, musician or made from 2004 research in the fields of ethnomusicology and music mysticism. His work rescues ancestral sound practices from various continents that strengthen the power of self-healing. this line, Prem Raman has specialized as “I am a therapist to” through some specific techniques of singing and touches of ethnic instruments. The universal mantra used to Kiirtan - musical style of the band - is Baba Nam Kevalam, which means "Everything is an expression of love". Segundo Shrii Shrii Anandamurti, founder of Andamarga, the Kiirtan awakens human feelings and helps us feel a greater pleasure, because it is through him that we are not insignificant beings, or higher or useless, we are beloved children of the Supreme Being.